Brighten up the night sky with a glow in the dark disc. 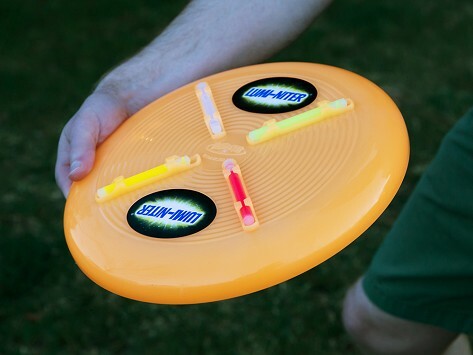 Removable glow sticks illuminate the see-through disc, lighting it up from all angles. When a stick wears out, just pop it out and replace. Now you can play outside even after the sun sets. Love your products. Its fun shopping with you. Lots of fun. Nice that extra lite sticks are included and available!! Received today. Son in law loves it!! Perfect to use for Can Jam! !